Bankers’ Handbook on Credit Management is designed keeping in view the specific skill needs of banking professionals in handling the credit portfolio in a bank. Credit is an important business function and credit management is a dynamic subject. 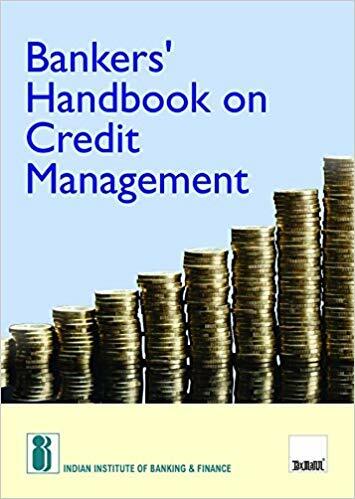 The book deals with the credit function of commercial banks covering various aspects such as credit appraisal, analysis of financial statements, interpretation of financial ratios, loan policy, working capital (fund and non-fund) analysis, project/term Loan analysis, credit monitoring, management of impaired assets, etc. Further the concepts and functions of credit management have been explained keeping the practical aspects in focus. Each unit in the book is important and efforts have been made to provide latest developments/ guidelines in the relevant fields to acquire the cutting edge knowledge by the reader. Though the book is meant as a courseware for the Institute’s “Certified Credit Officer Course”, it would be useful to all those who are interested in the credit portfolio function of a bank in the country.